Welcome to Executive Car Services Inc.
Executive Car Services Inc. provides transportation services to corporate clients, individuals, group travel in and around Maryland and Washington, DC. We offer a comprehensive luxury sedan service with professionally-trained drivers to meet your business and personal transportation needs at reasonable rates. For fast, convenient service, you can reserve a car online at our reservation portal. All personal and corporate accounts are always welcome. Do you need an airport shuttle or limousine service? Learn more about our other airport and car transport services. Speak to one of our specialists to see how we can help get you to your destination. Executive strives to deliver reliable transportation on a consistent and punctual basis. We make every effort to maintain high internationally-accepted standards to give you safe, affordable transportation services. We want each and every one of our customers to be glad they chose Executive. Executive makes this effort no matter who the client is or what event they are attending. We also serve clients for weddings, parties, business conventions or just date night. For more information on our company, read more About Executive Car Services and the key ways we strive to satisfy you. Since 2006, Executive Car Services has been providing airport shuttle service in Baltimore, Washington, DC, Philadelphia and surrounding areas. 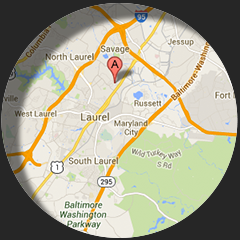 Executive makes it easy to get reliable and safe car service in Maryland, Virginia, and Washington DC areas. We provide the perfect BWI airport transportation service that is stress free, comfortable, and easy to book too. We take reservations online or by phone and are always ready to serve. We accept all major credit cards and welcome corporate accounts. For reservations or more information, contact one of our specialists today at (410) 720-9012. You can also request fare information or make a reservation on this website. Executive Car Services looks forward to providing your next sedan service.